So English, so nourishing. Oatmeal is one of the most popular choices of millions of people all over the world. A delicious and beneficial way to start your day, oatmeal is an example of a simple yet ultimately comforting breakfast. Not only does it taste good, but it also has a number of health benefits. Regular consumption of oatmeal is associated with a wide range of positive effects on the body. This whole grain is laden with nutrients, which makes it one of the best options for breakfast. Below you will find a list of the reasons why oats are beneficial to health. The term denotes a water-soluble fiber which is found below the oat shell. β-glucan is known for its ability to transform into gel and benefit the body in a number of ways. First, like other fibers, it aids digestion. But it is not the only thing it is capable of: there is a special effect it has, and it is the ability to reduce cholesterol and LDL levels. Initial viscosity of oatmeal can help control appetite. 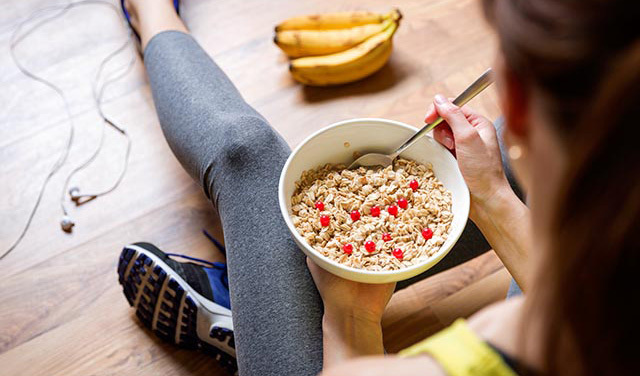 By increasing satiety, oats help reduce intake of calories, because staying full prevents you from eating more snacks between meals. The fiber mentioned in the previous paragraph can also stimulate the production of a peptide known as YY, abbreviated as PYY. PYY is a satiety hormone which is released in the GI tract in response to consumption of food. This effect can also be behind oats’ weight control contribution. Research shows that introduction of particular foods at an early age is associated with a reduced risk of different types of asthma, so it matters what infants are fed, Oats are among these foods, along with rye, barley, wheat, eggs and fish. Constipation is common among the elderly. They often have to resort to laxatives, which usually do help relieve constipation, but their use is associated with adverse effects. Oat bran can be used as a natural alternative to laxatives: instead of taking pills and other medications, seniors can eat meals with oat bran, such as soups or desserts, to promote their bowel movement. This approach proved to be effective, and one small study even found that 59% of the group which started eating oat bran every day as part of their meals managed to stop using laxatives, and their wellbeing improved. The type of oats known for its skin-protective effect and approved by the FDA for this use is finely ground oats, which are dubbed colloidal oatmeal. The grain in question may help relieve the symptoms associated with eczema, and reduce itchiness and irritation. It is worthy of note that in order to have such an effect, oats should be applied to the skin (often in the form of a skin care product containing it), as reported by researchers. 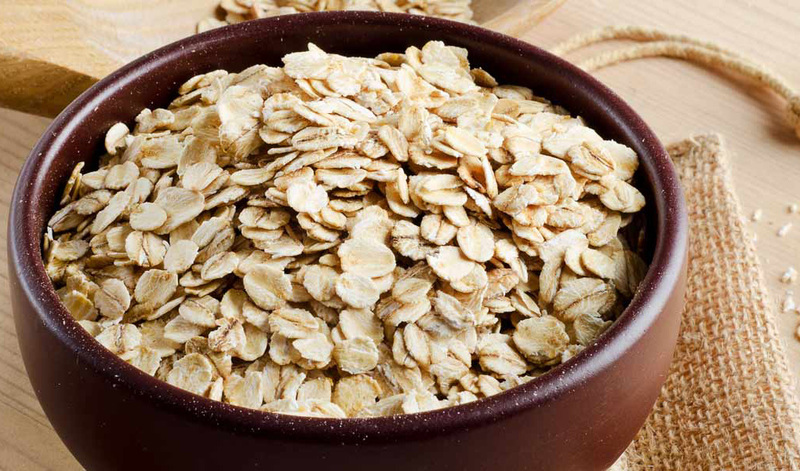 It is unclear whether eating oats can have a beneficial effect on the skin. The list above is not comprehensive, as one of the most obvious reasons why oats are beneficial is that they are rich in nutrients and antioxidants, such as avenanthramides, which are known for their ability to reduce blood pressure by stimulating blood vessel dilation and nitric oxide production. In oats, magnesium, copper, manganese, phosphorus, iron, folate, zinc and vitamins (especially B1 and B5) are found in abundance. The easiest way to consume oats regularly is to make porridge your usual breakfast. The diversity of recipes and flexibility of porridge (it can be combined with many other foods, including fruit, berries, cocoa, etc.) enable you to ring the changes with toppings and try chocolate porridge, oats with banana, and many other recipes. Overnight oats are also a convenient way to enjoy a delicious and healthy breakfast with ease. Make sure you choose oats devoid of contaminants, though.